Creative piece of content here from Greenpeace. At the time of writing it is approaching 650,000 views on YouTube. They have also created an integrated campaign with the content, taking advantage of social media channels and website copy. Greenpeace isn’t known for being subtle. 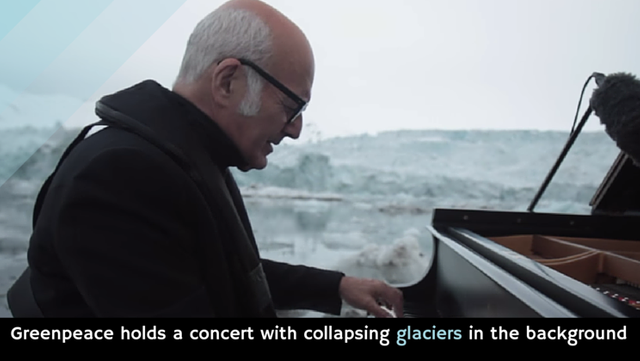 In this video, watch pianist Ludovico Einaudi play beautiful music in front of a rather sad backdrop: collapsing glaciers.